Would you like to find out where the oldest fish market of Rome took place? Why is there a snake on the Tiber Island? What are the most typical dishes of the Jewish cuisine? With Rome Jewish Ghetto Tour you can Study your map, spot the the starting point and start your art treasure hunt in the historical Jewish district. The district discovery will start from Piazza Mattei and its graceful turtles, witnesses of a romantic love story. From here we will go through the narrow alleys leading to the Portico of Ottavia where we will let ourselves be delighted by the aromas of the Kosher cuisine. During our walk along Via del Portico di Ottavia we will meet a lizard and a frog. These animals, apparently found to be insignificant, were instead the way two enslaved architects found to sign their own work. Finally, we will move along the Tiber river, where the ancient Roman legend of Asclepius and the snake will reveal the reason as to why the Tiber Island has this very shape. Challenge other participants, let yourself be lead and immersed in the historical framework and in the interesting stories each clue is linked to. 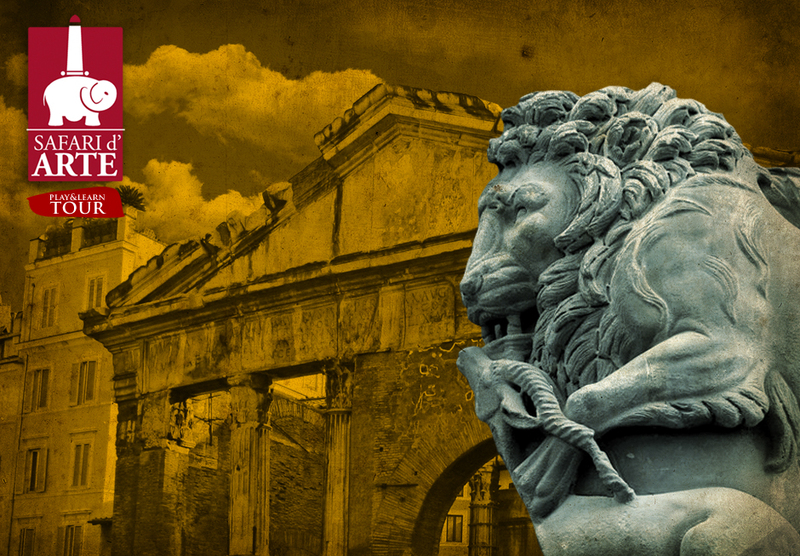 Become a real art treasure hunter with With Rome Jewish Ghetto Tour! Test yourself, play the game with your friends and other participants, then take the final quiz! This what you can experience by choosing Safari d’Arte Rome Jewish Ghetto Tour Play&learn tour!